Get ready for an evening of fresh oysters shucked by local farmers, seafood dishes from iconic restaurants, all-you-can-enjoy craft beer and wine, and live entertainment, all to benefit our Bay’s beloved bivalve! 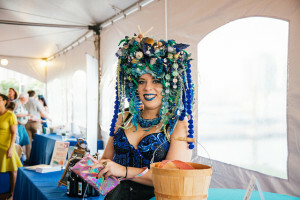 Hosted by the Oyster Recovery Partnership (ORP), Mermaid’s Kiss Oyster Fest will feature all this and more, Thursday, Sept. 20, from 6 to 9 p.m. in Baltimore. Participating restaurants include Baltimore area favorites such as The Capital Grille, Faidley’s Seafood, Gunther and Company, Lib’s Grill, Loch Bar, Thames Street Oyster House, the newly-opened Ludlow Market and Vida Taco Bar, and coming soon to Baltimore’s Inner Harbor, Blackwall Hitch. Oysters will be served by local farmers including Double ‘T’ Oyster Ranch, Harris Seafood Company, Hollywood Oyster Company, Hoopers Island Oyster Company, Madhouse Oysters, Philip’s Wharf Oyster Company and War Shore Oyster Company. Now in its eight year, Mermaid’s Kiss Oyster Fest will feature live music by the Pressing Strings, a Bay-themed silent auction, an oyster shooter bar, specialty drinks and the freshest, tastiest oysters from across the Bay. 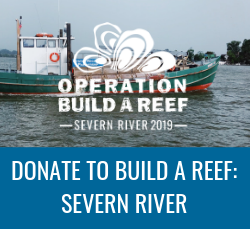 Funds raised will help ORP continue its efforts to build Chesapeake Bay oyster reefs, which improves water quality and creates critical habitat for marine life. Additionally, all oyster shell from the evening will be recycled, set with spat (baby oysters) and used for reef building projects. Mermaid’s Kiss Oyster Fest will be held at the Baltimore Museum of Industry: 1415 Key Hwy, Baltimore, MD 21230. The museum once served at the Platt Oyster Cannery, one of Baltimore’s longest-running and largest oyster canneries. Discount tickets are $95 per person through Aug. 31. For more information, to purchase tickets and to view the full list of event participants, visit mermaidskiss.org. View photos from last year’s event, here. ORP is the region’s largest nonprofit dedicated to the large-scale restoration of oyster reefs in the Chesapeake Bay, planting approximately 8 billion oysters on more than 2,400 acres of oyster habitat in Maryland since 1993. Established by ORP in 2010, the Shell Recycling Alliance — comprised of approximately 340 members and public drop sites– has become the largest shell recycling network in the country. Learn more at oysterrecovery.org. Contact: Karis King, Events Manager | 410-990-4970 | kking@oysterrecovery.org.